Update: New teams in Atlanta and Guangzhou have been confirmed by Overwatch League. We’re still waiting to hear about Paris and any other teams, though. Blizzard Entertainment will add an Atlanta, Paris, and Guangzhou team to compete in Overwatch League season 2 next year, according to ESPN’s unnamed league sources. As previously reported, Blizzard is expected to pick up a total of six teams within the next month, which could cost anywhere from $30 million to $60 million based on factors like the area’s population and the number of Overwatch players in it. In May, president and CEO of Activision Blizzard’s esports leagues Pete Vlastelica told German business site Handelsblatt that a Berlin team would join as well. If true, that leaves two more teams to be announced for the upcoming season. Vlastelica said the company is looking primarily at European cities to expand to, mentioning potential teams from Amsterdam and Scandinavia. The Paris team will be owned by McCourt Global, a Los Angeles-based holding company. Nenking Group, an umbrella company of a Chinese billionaire Zhong Naixiong will own the Guangzhou team, and Cox Enterprises will own the Atlanta team. That might mean that two OWL teams will be owned by big internet companies, as the Philadelphia Fusion are owned by a subsidiary of Comcast. Unsurprisingly, none of these companies had anything to say about their potential new teams, but the proper announcements will likely be made soon. Currently, OWL consists of 12 teams, with only the London Spitfire being from Europe. 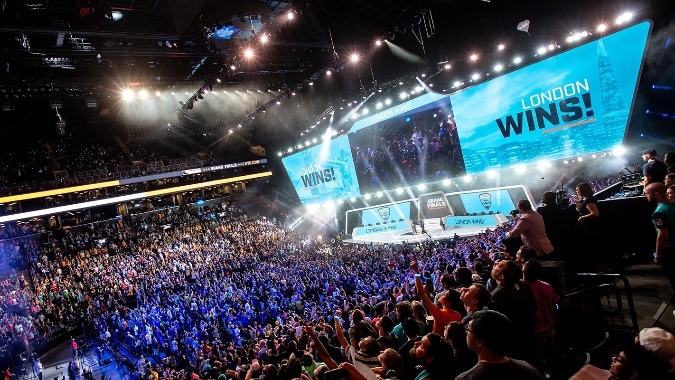 The expansion would help represent a huge section of the Overwatch player-base that it didn’t previously, and considering the clear success of the first season, it should help the league grow overall and make room for even more teams in the future.